There is a myth called the “freshmen 15” which insinuates most college freshmen gain 15 pounds in their first year. This is because college dining commons are essentially a buffet with all you could ever want, pizza, pasta, sandwiches, ice cream and much more. To make matters more difficult, dorms are not entirely chef-friendly either. Some do not allow basic appliances such as mini fridges and microwaves. So how does one eat healthy while away at college? Learn proper portion sizes: to avoid over eating, keep track of the amount you take. Eat breakfast: start your day off right with a good meal. 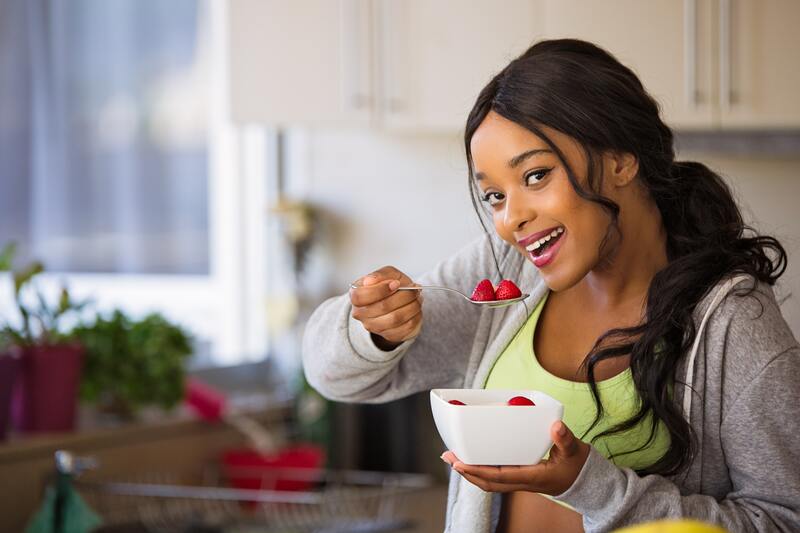 Studies have shown that people who eat breakfast compared to those that don’t eat breakfast don’t snack as much throughout the day. Keep healthy snacks around - fruits and nuts are great because they're not processed, filled with vitamins, and can be stored at room temperature. Drink moderately - underaged drinking is never ok and alcohol has a lot of calories. Don’t fight stress by eating - college is notoriously stressful so fighting off that stress with eating means a lot of extra calories. Drink water - water, water, water! Water will keep you full and hydrated. Limit sugary and caffeinated beverages - sugar is the enemy! Eat fruits and vegetables - the fiber in fruits and vegetables will help keep you full. Limit junk food - empty calories, grease, and sugar will only make you feel worse.